This week, my readers got a chance to read from my first ever BFF on Monday about her struggles with infertility. As I mentioned, she is the most beautiful person that I know: inside and out. What I failed to mention is how we met. I walked into Mrs. Hanson’s fourth grade class with my heart aflutter about the smell of new crayons and the feel of a brand new backpack. I had no idea what this year would hold for me as I saw the tall, elegant, blonde teacher standing in the front of the room. Written on the board in bold letters was “choose a seat anywhere.”. I sat next to a little girl with dark hair and dark eyes. I had been in this elementary school every year, but had never seen this girl before. She didn’t say much; I could tell she was shy. “You’re as quiet as a cat.” I told her. And from that moment, a friendship was born. I often wonder where I got that simile, as I hate cats, but I really felt drawn to this sweet girl. Our friendship has survived nearly twenty years, my relentless and unsolicited fashion tips, countless broken hearts, and five different cities. She will be a friend I will have until the end of my days. 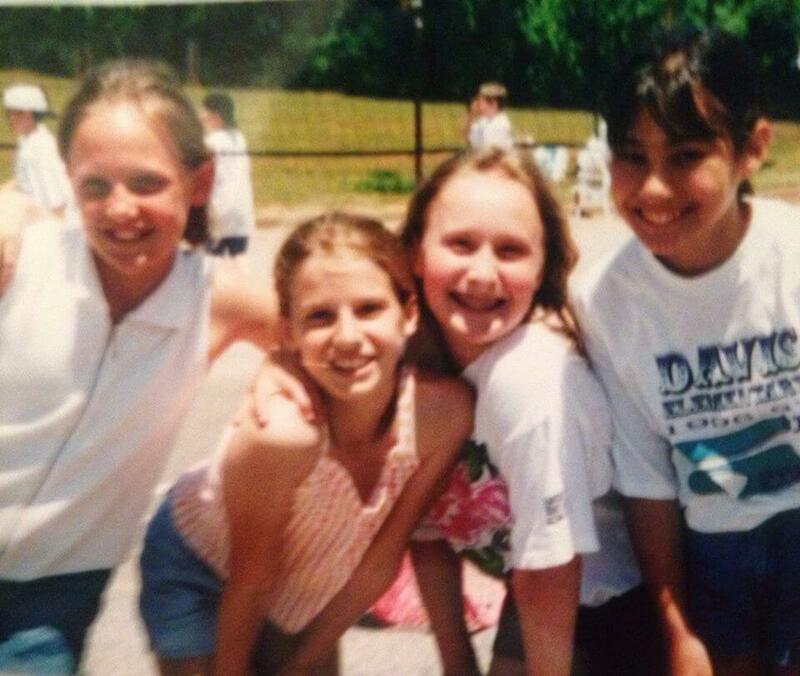 Me practicing a sorority squat in elementary school and Hilary on the far right. True friendship is a rare gift that I do not take for granted. I found my second BFF in a small apartment in Athens, Georgia. We met briefly as she sat on the couch with her college sweetheart and I walked in attempting to land my college sweetheart. She and I became closer when we attended a UGA basketball game together and I raved about a date that…would’ve only made it to the second date. She was one of the first friends I had in college that I had an awesome time with without making any decisions that I would regret in the morning. Her friendship breathed truth into my life during a time I needed it most. I am convinced that her unyielding pursuit of showing me Jesus in my darkest hours is the reason that I have returned solidly to my faith today. It is amazing how one person can bring you back to Christ simply by living their faith. Bren has just given birth to a beautiful baby boy named Judah. I often wonder if Judah and Bennett will share the friendship that Bren and I have. As they are only two months apart, I hope that as they get into little boy mischief, they also develop a strong friendship. Yesterday was their first official playdate. They have met and seen each other before, but this time, both were calm and alert enough to play. 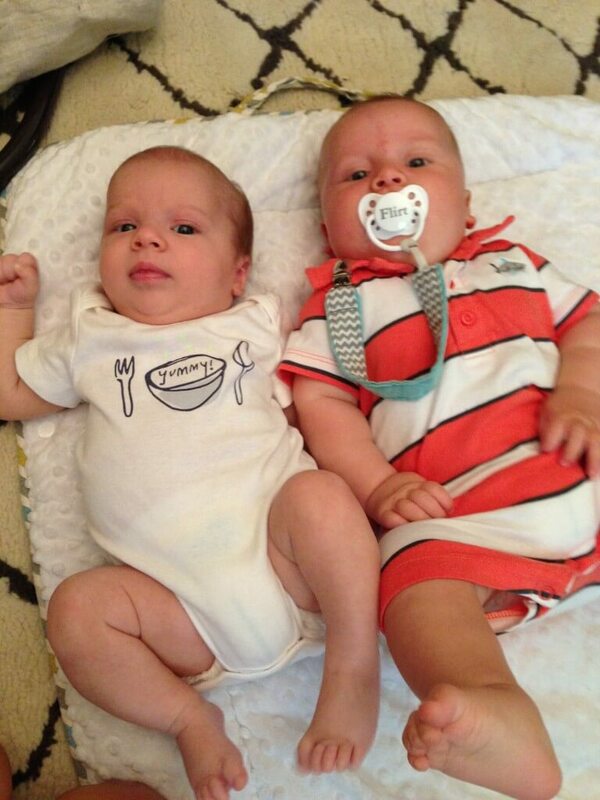 I hope that Judah and Bennett always encourage each other in the way of the Lord. I hope that these boys find a bond that is unshakable when everything in their lives is shaken. I pray that you make memories to last a lifetime and have as much fun as your mommies have together.